Another day, another backless dress! The colours on this dress were described as looking like a daffodil, like custard and the inside of a Crème Egg, perfect for my new-found love for the colour yellow! I love the tiny pleats and the contrasting sleeves. I never thought I would be a fan of either yellow or leopard print but here I am wearing both in one outfit... blogging has certainly taken me out of my comfort zone! Worn with my 'Miss Piggy' shoes... the perfect chunky heel! 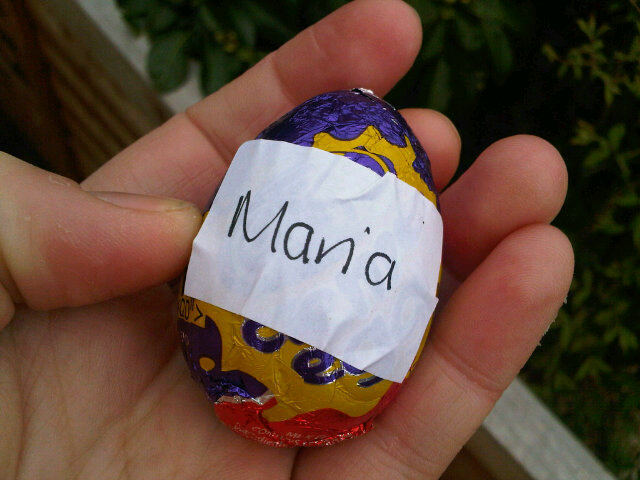 The best part of Easter for me though has to be the Easter Egg hunt, you're never too old for hunting chocolate right?! What did you do at Easter? Do you like Easter egg hunts? That's a lovely dress, the little pleats are really nice :) Hope you had a lovely Easter! Even though the shoes and blazer are the same tonal family I probably wouldn't have thought to team that blazer with the dress, but it's lovely! I especially love the shoes. That dress is so beautiful on you, Maria. It's absolutely gorgeous, and the chunky heels are a perfect partner. Chunky heels are definitely my new best friend. you look amazing, that dress is so pretty! That dress is so pretty! Love the colour on you! Love this outfit on you, lovely! Your legs are killer! Gorgeous dress - love the colours! I love the pleats and the colors!